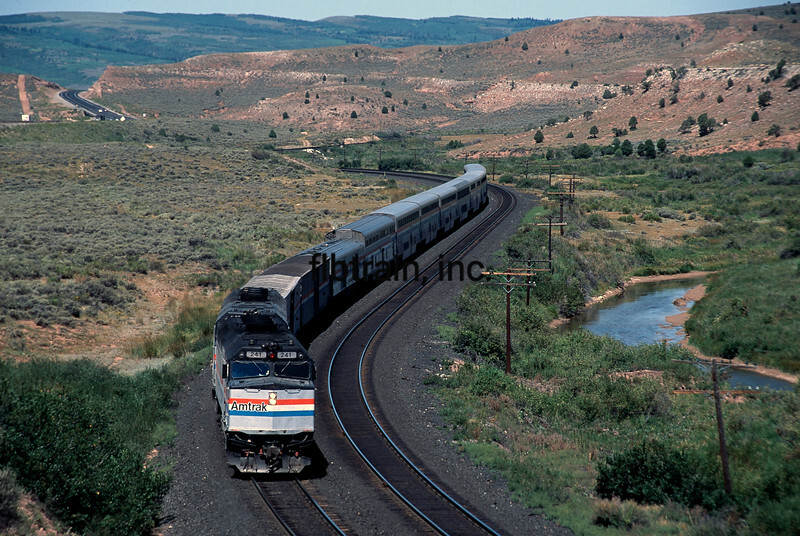 AM1992070011 - Amtrak, Utah, 7/1992. Eastbound #6, the California Zephyr, led by F40PH 241, in the high desert east of Soldier's Summit, UT. 7/31, 1992.